Comprehensive and deep understanding of the accurate nonlinear dynamic characteristics of the gas journal bearings plays an important role for reliable design of the rotor-bearing system. In this paper, the accurate nonlinear dynamics of a flexible rotor supported by two plain gas journal bearings (PGJB) are investigated by the free fluid-structure interaction method (FFSIM). The FFSIM does not make any simplifying assumptions, considers the interactions between the rotor shaft and the bearing sleeve at each transient time and uses the three-dimensional models for calculation. First, accuracy of the FFSIM is verified by the published experimental results. Then, bifurcation analysis, effects of rotating speed and rotor mass on shaft orbits, phase portraits and frequency response curves of the PGJB rotor system are performed, respectively. Results show that, under the same rotor system and boundary conditions, compared with the simplified two-dimensional analytical methods commonly seen in the open literature, the FFSIM could give more detailed and accurate nonlinear dynamic characteristics of the rotor-bearing system. The research of this paper is expected to further and deeply understand the accurate nonlinear dynamic characteristics of the PGJB rotor system. The research is supported by the National Natural Science of China under Grant no. 51575378 and 11502162, and the Natural Science Foundation of Tianjin under Grant no. 13JCZDJC34900 and 15JCQNJC05100. YS is also supported by the Seed Foundation of Tianjin University (No. 1405), the fund (No. SV2015-KF-02) from State Key Laboratory for Strength and Vibration of Mechanical Structures (Xi’an Jiaotong University), the fund (No. GZ1408) from State Key Laboratory of Structural Analysis for Industrial Equipment (Dalian University of Technology), the fund (No. 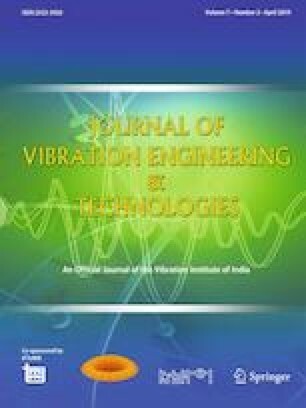 MSV201611) from State Key Laboratory of Mechanical System and Vibration (Shanghai Jiaotong University).